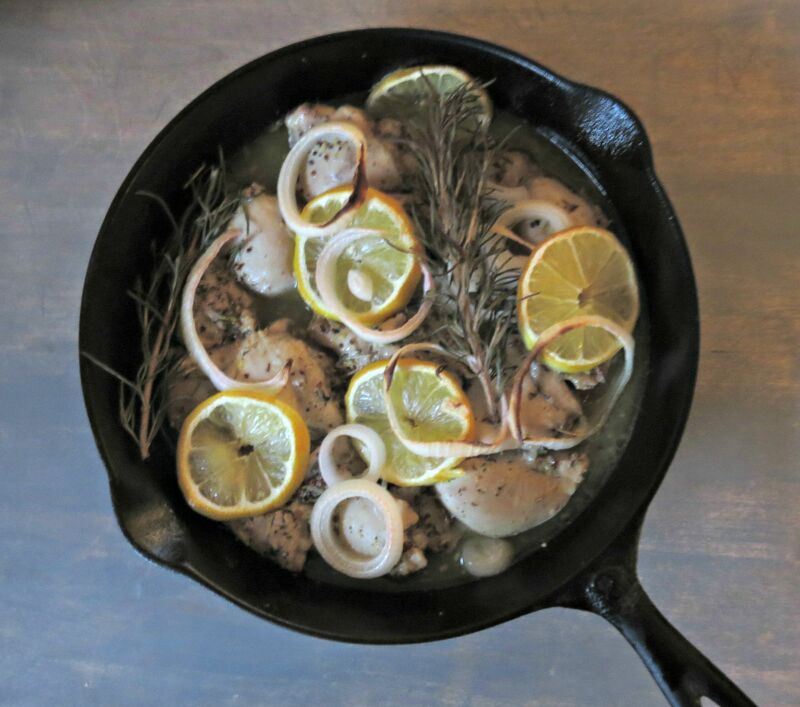 To make the lemon rub, combine olive oil, mustard, lemon zest, oregano,and salt in a small bowl. 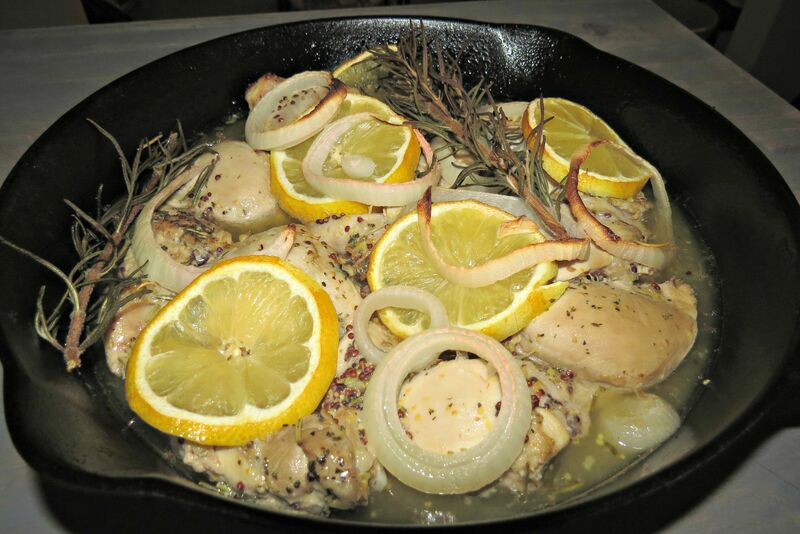 Using your fingers or a brush, work the lemon rub onto both sides of the chicken. Heat olive oil in a large oven-proof skillet over medium high heat. Add chicken, lemon slices, pnion, extra marinade, rosemary sprigs, and sear both sides until golden brown, about 2-3 minutes per side.